Home Features	The Challenging Shooter, Ikaruga, Makes Its Way to the Switch eShop on May 29th! The Challenging Shooter, Ikaruga, Makes Its Way to the Switch eShop on May 29th! The unique, fun, and extremely challenging shoot ’em up, Ikaruga, which originally released as an arcade game, and found its way to the GameCube in 2008, will be releasing on the Nintendo eShop this month, according to a blog post from publisher, Nicalis. Question: What’s black and white and fun all over? Answer: Ikaruga, the legendary vertically-scrolling arcade shoot-‘em-up that’s headed to Nintendo Switch on May 29. Developed by renowned Japanese studio Treasure (responsible for classic-style action games such as Guardian Heroes, Gunstar Heroes and Radiant Silvergun), Ikaruga garnered praise from gamers around the globe upon its original release back in 2001. The accolades focused on Ikaruga’s elegant and fluid gameplay, and more specifically, the game’s revolutionary polarity-based play mechanic which set it apart from other games in the genre. Now, Ikaruga is back! Playing as the rebel freedom fighter Shinra, pilot of the advanced Ikaruga aircraft, you must defeat the relentless forces of a conquering nation not only by dodging and shooting, but also by switching between two polarities—black or white—to absorb enemy bullets of matching color. The ability to switch polarities at the press of a button adds a tactical, puzzle-like element to the action, and as you absorb bullets you’ll power-up your ship’s homing laser to dish out up to 10 times more punishment. Additionally, blasting enemies of opposite polarity allows you to inflict double damage on your foes. But beware: One hit from an opposite-polarity bullet will mean the destruction of your ship. Five stages of thumb-busting intensity await, each jam-packed with fantastic 3D visuals, challenging obstacles and epic boss encounters, plus a second player can join in for local co-op thrills. 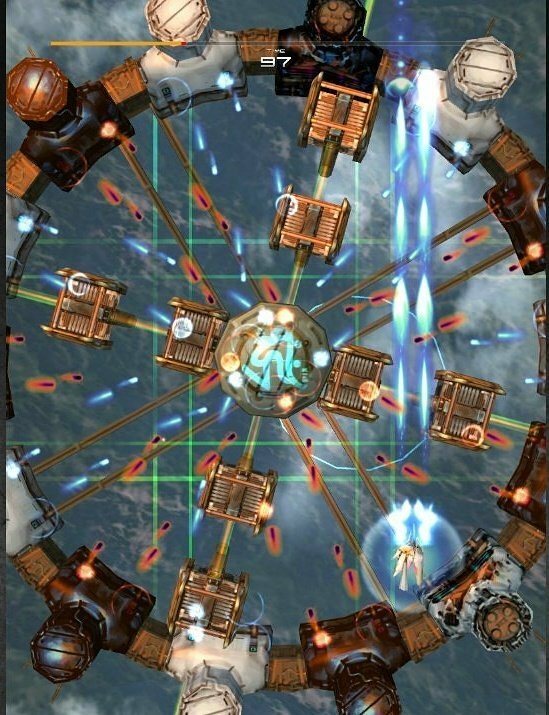 Ikaruga also features two distinct gameplay modes: Arcade and Prototype (which limits your ammunition based on the bullets you’ve absorbed). Three difficulty settings are available, plus a chapter-select option and the ability to play using either a horizontal or vertical screen orientation (often known as TATE mode) on Nintendo Switch. Ikaruga will hit the Nintendo Switch eShop on May 29th at a cost of $14.99. No word yet from the publisher on a physical release. Fingers crossed, that one will come about if the game is successful digitally. You can watch this extraordinary, fast-paced game in action on Nicalis’s YouTube channel.